Bringing people together one piece of chicken at a time. Racial tensions were running high across the South during the decade of the 1950s. In 1954, the U.S. Supreme Court ruled unanimously to strike down racial segregation in America’s schools. The following year, Rosa Parks, a seamstress at a Montgomery department store, refused to give up her seat in a “whites only” section of the local bus in which she was riding. And in 1957, Arkansas Governor Orval Faubus deployed the state’s National Guard to prevent nine African-American students from entering Little Rock’s Central High School. However, during this era of divisive racial attitudes, Napoleon Vanderbilt and his small-unnamed diner in Mason, Tennessee, inadvertently became a uniting force for his community. 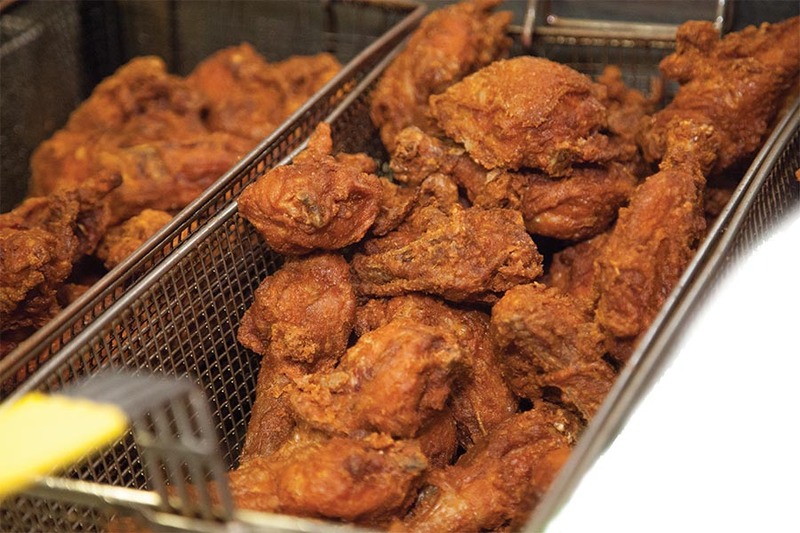 Napoleon, or “Na” to his friends, created a recipe that would not only become legendary in Southern cooking, but would also help to bring together people of all races over something they could agree – their love for Na’s fried chicken. Na and his wife, “Ms. Maggie,” began selling their chicken, sandwiched between two slices of white bread from the back door of a small local tavern. As the word spread and demand grew, Na and Ms. Maggie were encouraged by local residents to build a freestanding restaurant. Being of modest means, however, the family could not afford such an expansion. It was then that generous, local lovers of the couple’s food supplied them with the materials needed to build their own restaurant on a small piece of land they owned on Highway 70 in Mason. Na, a skilled carpenter, built the actual restaurant, and Maggie’s Short Orders opened its doors in 1973. Maggie and Na continued to serve their community until their deaths in 1982 and 1983 respectively. The restaurant they founded, however, remained a family affair. Na’s only son, Vernon “Gus” Bonner, inherited his father’s priceless recipe and the restaurant he had worked so hard to build, literally from the ground up. 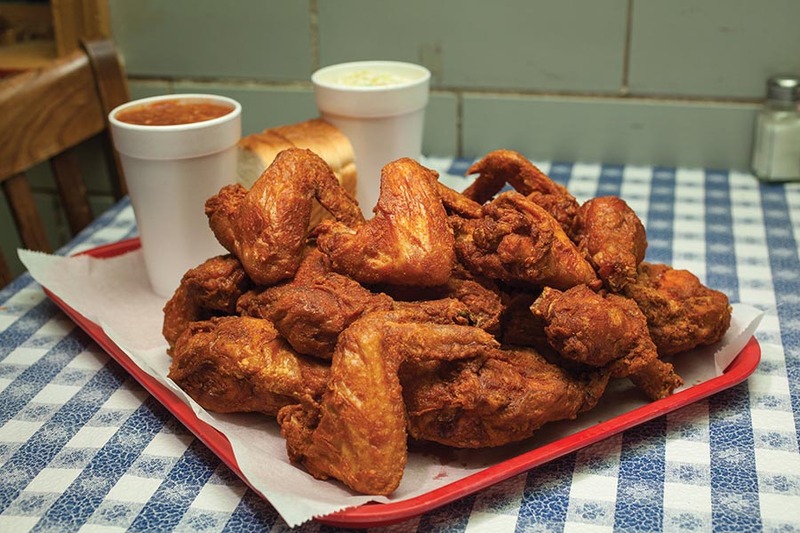 In 1984, Gus and his wife, Gertrude, reopened under the now well-known moniker, “Gus’s World Famous Hot and Spicy Fried Chicken.” While the name may have evolved over the years – now known simply as Gus’s World Famous Fried Chicken – the Bonner family continued to honor Na and Ms. Maggie’s legacy by following and even perfecting their beloved fried chicken. Committed to carrying on the Bonner family legacy, McCrory has charted a course for the business that has led to even greater success. 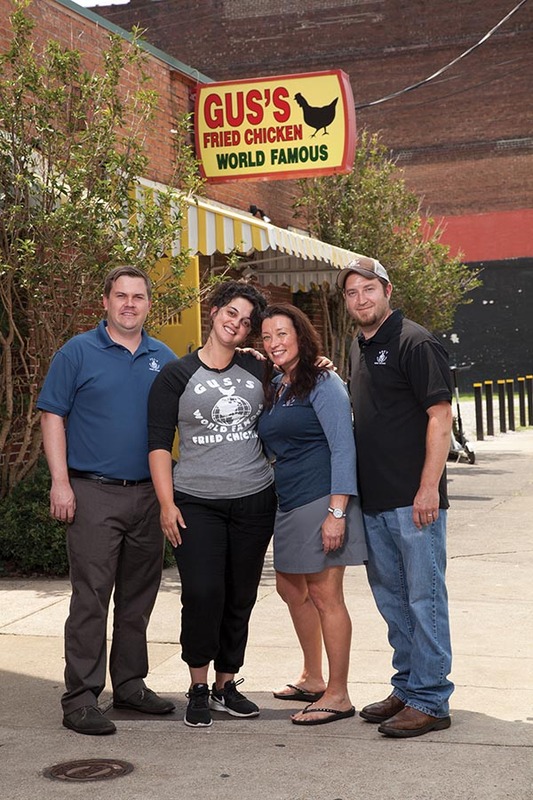 Since opening the first franchise in 2001, she has expanded the brand to include 26 locations in 11 states, with plans to grow even more. Keeping a focus on the food, McCrory understands that people visiting Gus’s World Famous Fried Chicken are not looking for white tablecloths. The fried chicken isn’t served on china, but on disposable plates, and drinks are offered in plastic souvenir cups. “We are all about good food and a comfortable setting,” she smiles. “Our meals are not fancy. We serve on paper plates. Our sides are simple. We shred fresh cabbage for our slaw, cut potatoes and boil eggs for our potato salad, and sauté bacon, peppers, and onions for our beans. They are a bit on the sweet side to complement our mildly spicy chicken.”That combination has proven more successful than Na and Ms. Maggie could ever have imagined. 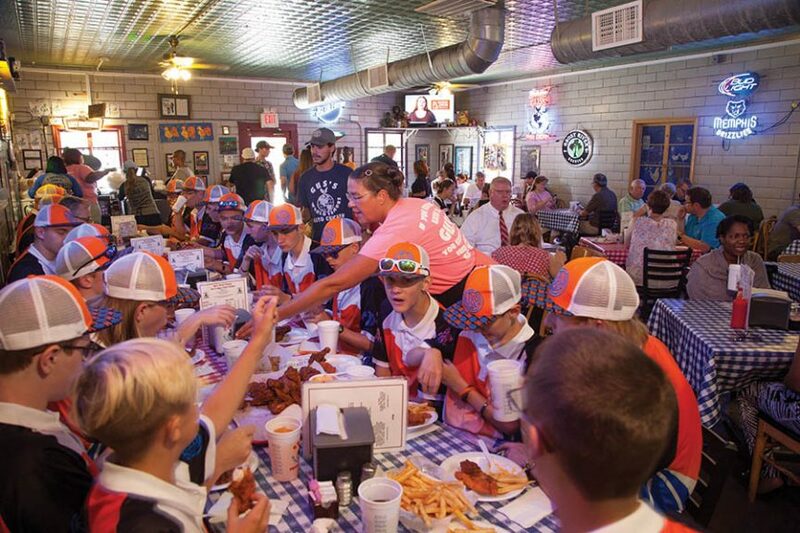 Gus’s has attracted the attention of many over the years: the Travel Channel featured Gus’s as among their “Top 101 Tastiest Places to Chow Down; GQ exclaimed that Gus’s was one of the “Top 10 Places in the World to Fly to Eat a Meal;” Yelp included Gus’s in their 2016 list of “Top 100 Places to Eat;” and most recently a food contributor to Forbes wrote, “Gus’s fried chicken is the best in America.” While Gus’s is honored to receive such national accolades, hometown support is paramount. 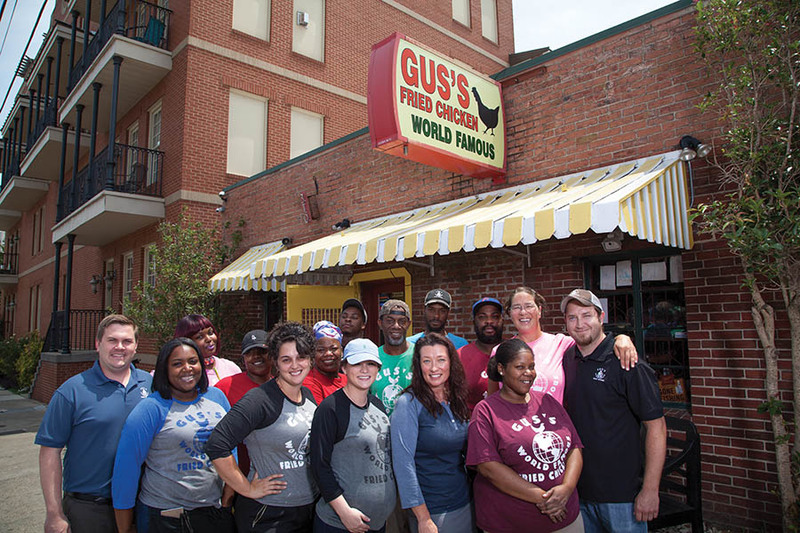 After a half century, Gus’s continues to bring people together and unite communities over a plate of delicious, world famous fried chicken.